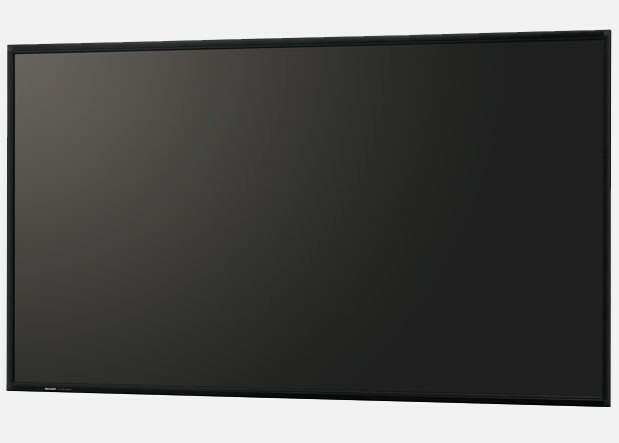 The 90-inch LCD panel incorporates Sharp's UV2A* technology, which ensures highly efficient use of light from the backlight and prevents light leakage. The result: truly bright whites and extremely deep blacks. The panel also boasts a full-array LED backlight, in which LED elements are evenly positioned across the entire panel to give on-screen images remarkably uniform brightness. For its outstanding black levels, amazing contrast and superb energy efficiency, the PN-R903 owes much to local dimming of its LED backlight. Local dimming allows specific groups of LEDs to be independently dimmed or brightened for greater control of the darkness and brightness in different areas of the monitor, resulting in considerably reduced power consumption. That's why the PN-R903 can deliver significantly better contrast and brightness than conventional LCD monitors while using remarkably less power. The PN-R903 monitor offers a choice of landscape or portrait installation, allowing customers to select the mode that best suits their display content and application. While portrait installation offers the look and impact of a poster, landscape installation puts wide images on vivid display. Built solid, the PN-R903 monitor is ideal for use in 24-hour stores and in other demanding professional applications that require around-the-clock operation seven days a week.